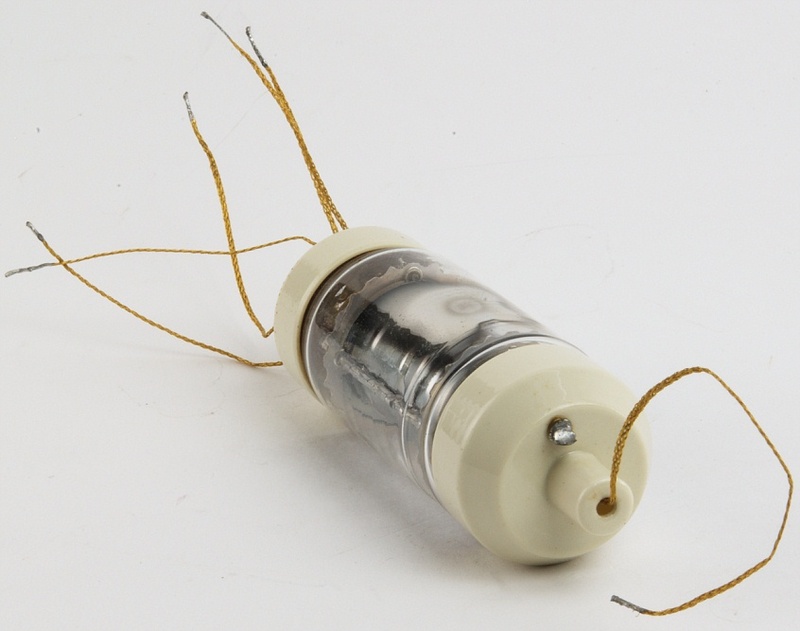 Pentode used in SB submarine cable system. About 1800 were made. Work on submarine-cable tubes began in 1933. By 1950, a field-trial cable was laid from Key West, FL to Havana, Cuba. The first major cable system, TAT-1 (Trans-Atlantic Telephone, a dual cable, East to West and back again), was put into operation accross the Atlantic in 1956. 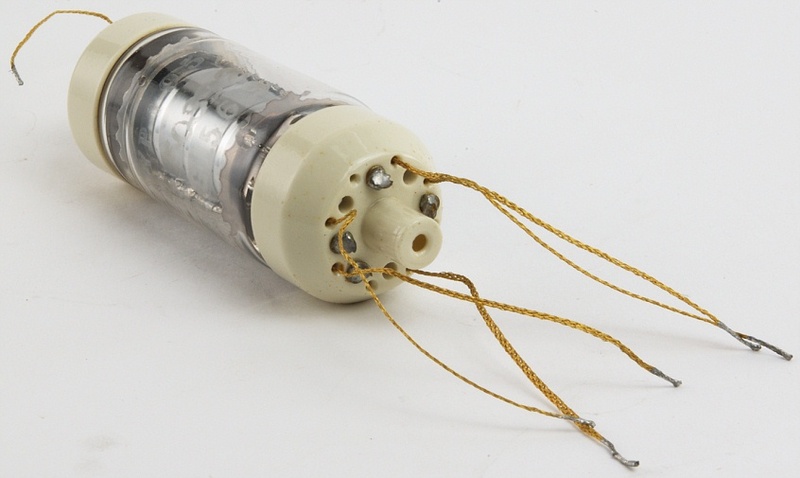 In this system, the section of cable between Sidney Mines, Nova Scotia and Clarenville, Newfoundland contained repeaters developed by British Post Office Research Station at Dollis Hill and used the British 6P12 tube. The repeaters used between Newfoundland and Oban, Scotland used the 175HQ tube. All 175HQs were made by the BTL Model Shop under the close supervision of the development engineers. Fabrication was carried out with extreme care by operators especially selected for the job. Nylon smocks and gloves, and restricted areas, were early steps toward ultra-clean facilities. A 5000-hour aging and inspection schedule was used for cable tubes. Under normal limits, the yield was 98% but with the test criteria used, only one on seven was accepted. The objective of a 20-year life was met by the first transatlantic cable, where 306 tubes operated for 22 years without a failure. This cable was retired in Nov. 1978 for economic reasons. By that time, the 1608 tubes on the sea bottom, in seven cable systems, had given 287 million tube-hours of trouble-free service. J.O. McNally, G.H. Metson, E.A. Veazie and M.F. Holmes, Electron Tubes for the Transatlantic Cable System, Bell System Technical Journal, January 1957. 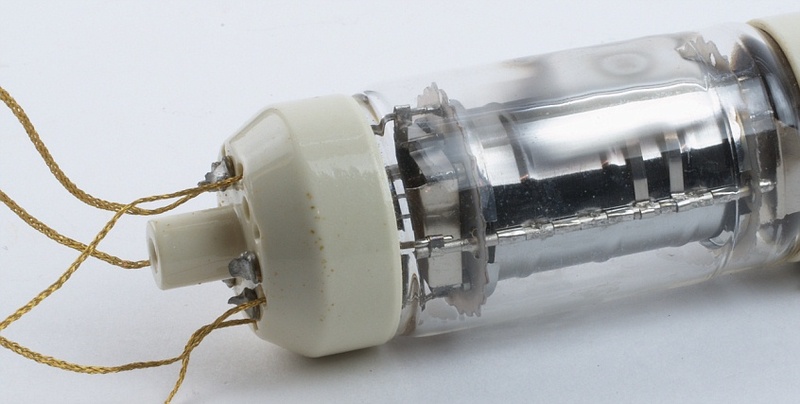 The tube’s leads are extremely flexible and constructed of gold-plated stranded beryllium-copper. The aluminum oxide heater insulator is extruded with 7 holes. The heater insulator is held by a .025” molybdenum rod at each center hold. The heater (filament) is 36 inches of 0.003 inch tungsten that is wound into a helix with an OD of .013 inches. The heater filament was then dip coated and threaded through the six outer holes of the insulator. Next, an aluminum oxide suspension was injected into the holes of the insulator and the heater was fired. This task accomplished total embedment.